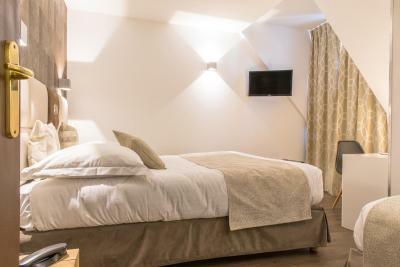 Lock in a great price for Hotel The Originals des Princes Chambéry (ex Inter-Hotel) – rated 8.5 by recent guests! Right in the middle of the old city, a 15 minute walk from the train station. Bed was super comfortable. Excellent location right in the center of town. Close to all restaurants, shops and parking. The location was good and the room was clean. 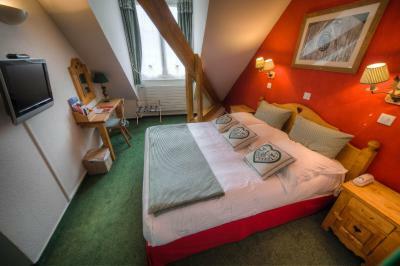 However, the cosy room as ours was described, was extremely small and with beams so you had to duck quite a bit. I would not have wanted more than one night in that particular room. Parking was nearby and cost extra. If you are there on a Sunday parking is free in the street. In fact it is free from 7.00pm on the Saturday, so we saved money by not using the parking recommended by the hotel. 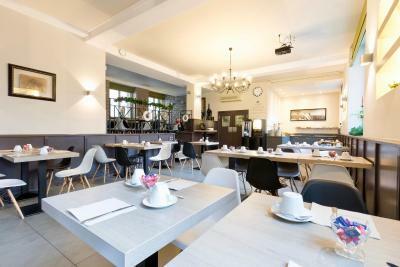 This charming hotel is very well located for a visit to central Chambery. 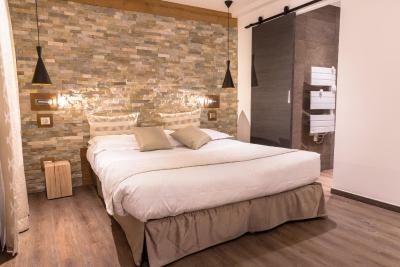 Nicely decorated and comfortable room and bathroom simple but adequate. 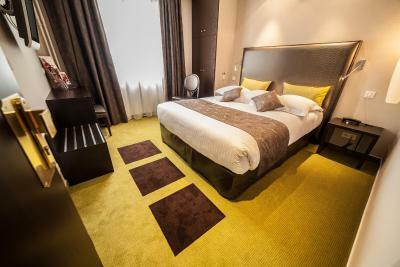 Staff were very kind and helpful and everything about the hotel was first rate. 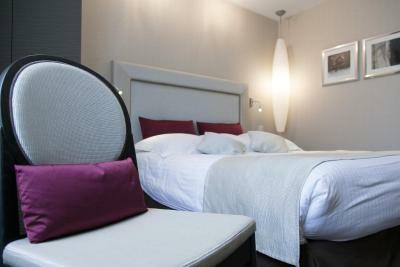 We would gladly stay there again as it is in the midst of shopping, cultural attractions and good restaurants. 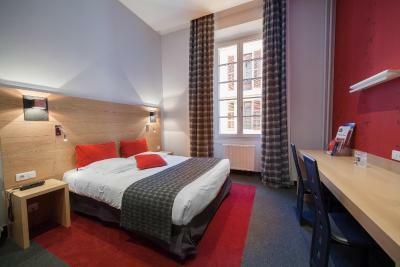 Nicely furnished hotel in the centre of town. No restaurant but lots to choose from within easy walking distance. Good buffet breakfast. This was only an overnight stop and met all our needs. Staff were very helpful with parking and restaurant guidance. Really nice interior and clean. Staff were very friendly. Good location in the center. Good value for the price. Excéllent location great staff! All has been renovated! The kids love the place, we stayed in a family room. The hotel is nicely decorated. The location was good, close to placed in the town. Stafff was excellent! It was rainy and cold out and the lady at the front desk offered us tea and espresso and served it to us while we were sitting in the lobby. 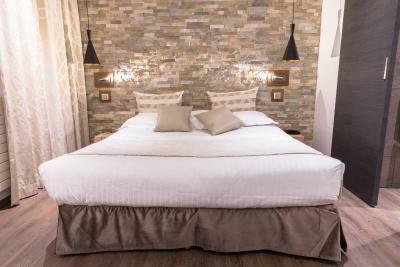 One of our best sellers in Chambéry! Hotel The Originals des Princes Chambéry (ex Inter-Hotel) is located in Chambéry's Old Town, near the le Château des Ducs de Savoie. 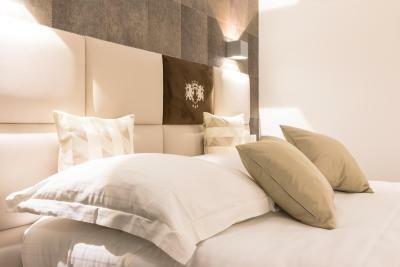 It offers air-conditioned rooms with satellite TV and free WiFi. 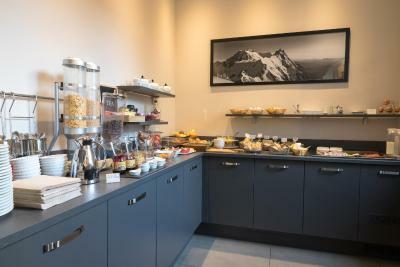 A buffet breakfast is served daily in the hotel. Hotel The Originals des Princes Chambéry (ex Inter-Hotel) has a piano bar for evening entertainment. 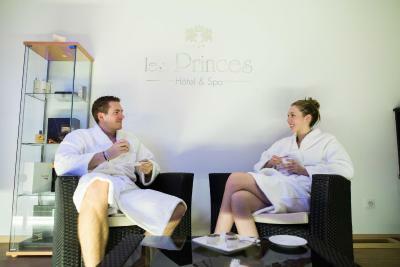 A private spa is available on site for an additional charge upon reservation. 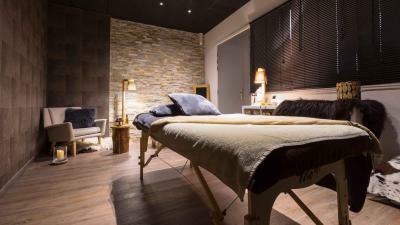 Massages are also available upon request. 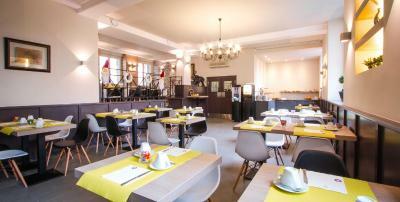 It also provides 24-hour reception service and an iMac computer with internet available for guests. 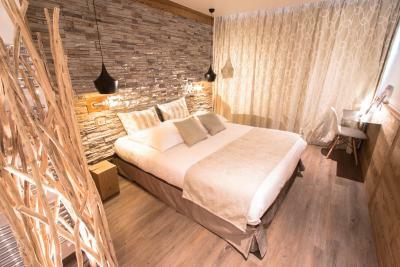 When would you like to stay at Hotel The Originals des Princes Chambéry (ex Inter-Hotel)? Public parking is available at a location nearby (reservation is not needed) and costs EUR 8.50 per day. 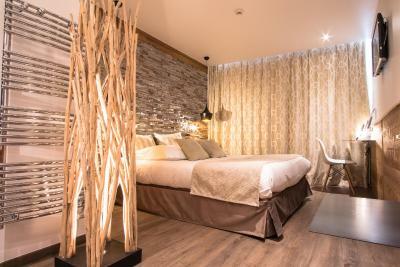 An LCD TV with satellite channels and free Wi-Fi are provided. The bathroom has a heated towel rail and a hairdryer. 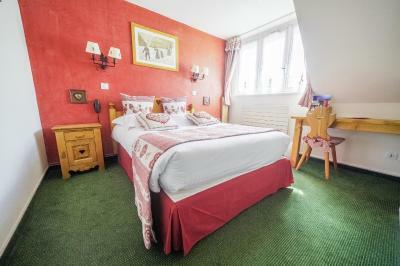 Air-conditioned room with a queen-size bed, free Wi-Fi access and satellite TV. 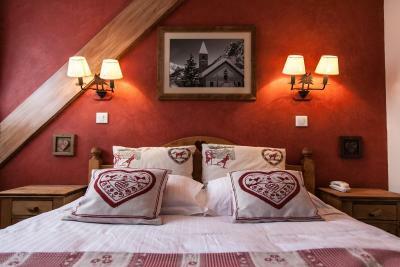 These air-conditioned rooms feature a traditional mountain décor, free Wi-Fi access and a flat-screen TV. 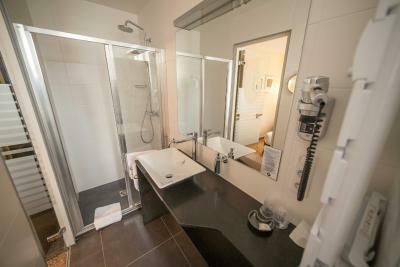 The private bathroom includes a bath or shower. 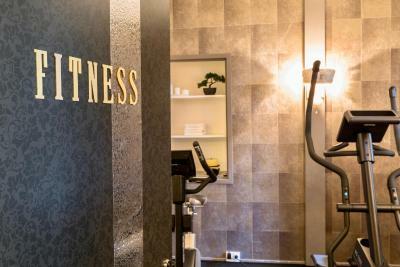 House Rules Hotel The Originals des Princes Chambéry (ex Inter-Hotel) takes special requests – add in the next step! 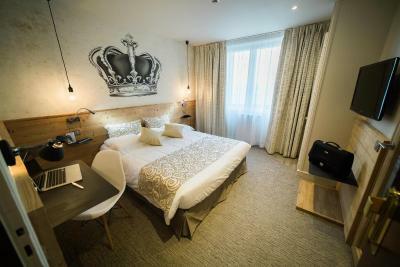 Hotel The Originals des Princes Chambéry (ex Inter-Hotel) accepts these cards and reserves the right to temporarily hold an amount prior to arrival. 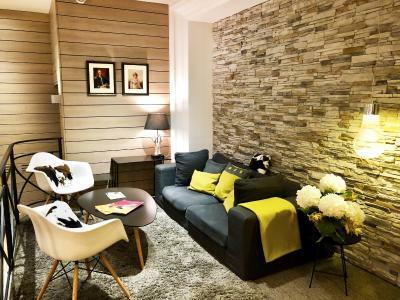 Very well located in centre of town. Hotel looked recently refurbished. 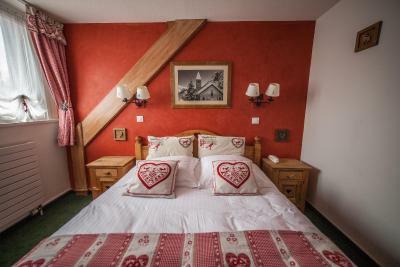 Location is perfect, in the middle of Chambery only 10 minutes walking from train station. 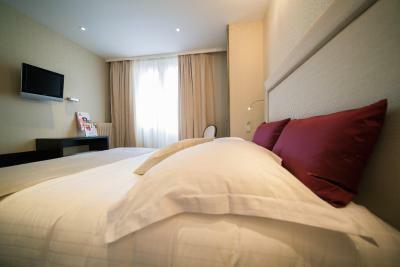 Clean room and hotel, hotel staffs are friendly and helpful. We missed out our train and after buying new tickets, we had to wait 4 hours and there is no locker in Chambery train station so, we went back to hotel and we could still leave our luggages while walking around in the city before taking our train. 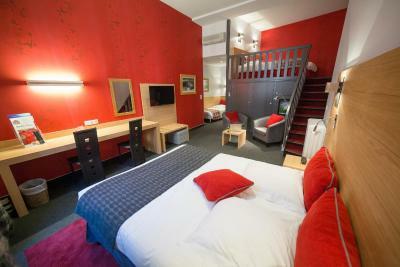 We have stayed in your hotel many times and never had any problems, we have family in CHAMBERY very close to the hotel. Stafe are always ready to help, and we look forward to visiting again. No door to the bathroom - a sliding piece of wood which didn’t fit, the sink tap was marked, the carpet was stained, the door lock faulty and there was a constant tap, tap noise all night from the pipes. Staff weren’t interested in customers - leaving the door unattended at 9pm with no apology. Shocking price for a dreadful experience. Hotel aren’t interested in feedback and didn’t once ask how the stay was. There was some loud noise outside early in the morning, possibly rubbish collection, not the fault of the Hotel however! Perfect location in centre of Chambery, right next to the old town and it's pedestrianised streets. The excellent breakfasts. The caring and helpful staff. 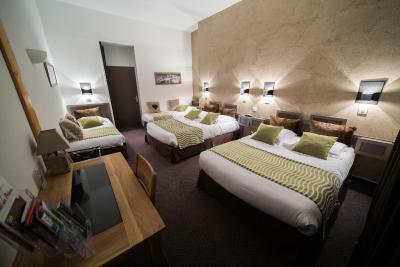 The comfortable rooms. How we were quickly moved from the third to the first floor,(we had omitted to mention we are in our eighties when we booked and we arrived about 11pm). The central location of the hotel. Room was quite hot even without the heating on. Bed not particularly comfortable. Excellent central location in mainly pedestrianised area so quiet. Pleasant reception area. Provision of umbrellas a nice touch. Taxi reserved without fuss. All was excellent but I definitely got bed bites from room 7. I think the reception needs to improve a lot. It was good when we checked in. But the check out day, I needed to print some documents, the employee’s attitude made me annoying and I think it was a discrimination.